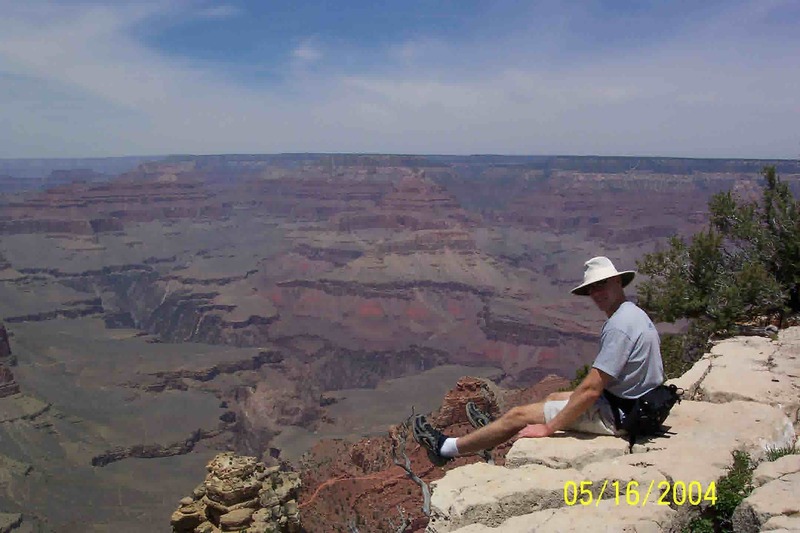 Rim Trail (South Rim) Hiking the RIM trails are ideal day hikes. They offer a variety of different views along trails that offer good hiking with little elevation change. Part of the trail is paved and accessible. Everyone needs to carry water! Even though you will be hiking on the rim, you still need to carry water. Always remember to eat as well as drink while hiking, you will be using alot of energy when hiking the canyon. Begin from any viewpoint in the village or along Hermit Road. Can access the trail from many of the shuttle bus stops. Trailhead Elevation: 6,820 Feet, varies approximately 200 Feet. NO water along trail. Water in Grand Canyon Village area and at Hermits Rest. Pipe Creek Vista 1.3 Paved trail begins here and heads west towards the village. Shuttle bus stop. Mather Point .6 X Closest overlook to Canyon View Information Plaza. 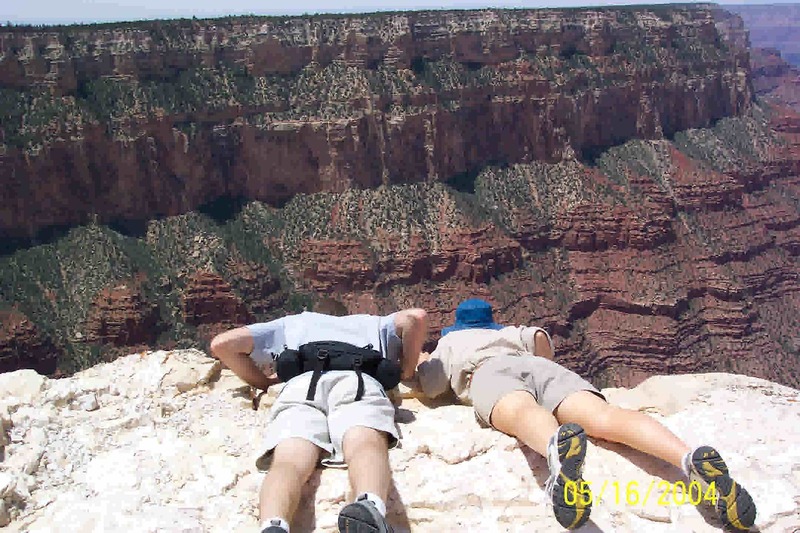 Yavapai Point .75 X X Glass observation area with canyon information. Shuttle bus stop. Park Headquarters junction 1 The trail between this point and the next passes historic buildings, restrooms, and water. Village Route Transfer .7 Shuttle bus stop. Trailview Overlook .7 Good views of the Bright Angel trail. Shuttle bus stop. Maricopa Point .5 Pavment ends and trail becomes unmarked dirt path from here. Shuttle bus stop. Powell Point .3 Shuttle bus stop. Hopi Point .8 X Great for viewing the sunset. Shuttle bus stop. Mohave Point 1.1 Shuttle bus stop. The Abyss 2.9 Shuttle bus stop. Pima Point 1.1 Shuttle bus stop. Hermits Rest X X X Small gift shop and snack bar. Shuttle bus stop.